For every parent who is about to embark on a long journey, activity books can offer a lifeline and help delay the inevitable ‘are we nearly there yet?’ They can also provide an inexpensive way to keep children amused on a rainy day. But when you walk into any bookshop you will be faced by a huge variety to choose from, how do you decide which ones will manage to captivate your child for more than half an hour. My girls are slightly obsessed with sticker books but realistically they fail to keep them occupied for more than a short period of time. So I decided to test three very different books with my girls to see if anyone of them would pass the longevity test. ‘Playing With Food’ is a bumper fun filled activity book all about food. From designing a menu for a café to decorating a dream ice cream sundae to filling in a bento box, this interactive book invites children to think about how food is grown, prepared, cooked and presented. Louise Lockhart’s bright and vivid illustrations serve up a smorgasbord of creative treats for everyone from fussy eaters to budding chefs. There are so many activities to delight children of all ages it will stimulate their imaginations and keep them busy dreaming up new and exciting foods whilst encourage them to open their minds to trying new foods. One of my favourite activities is the New Food Log which invites the child to try one new food every day and record their response, perfect to encourage them to try something different on holiday. We have also found it a welcome distraction whilst waiting for food to arrive in restaurants, helping us to enjoy a leisurely dinner rather than feeling too rushed. A unique and truly interactive activity book this really stands out for me as being excellent value and wonderfully creative. 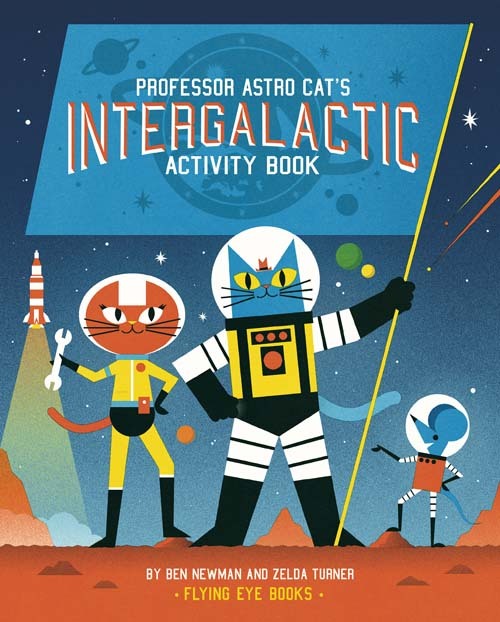 ‘Professor Astro Cat’s Intergalactic Activity Book’ is an out of this world activity book from Zelda Turner and Ben Newman. Has your child been inspired by Tim Peake’s journey into space and do they dream of exploring distant planets and finding out more about the galaxy in which we live, then this is the activity book for them. Professor Astrocat is here to help them on their mission, packed with amazing experiments, thrilling facts and create-your-own adventures, his Intergalactic Activity Book offers a universe of excitement, and is bursting with ideas for a future at the frontiers of space! My girls were thrilled to explore this activity book having devoured both of the Professor Astrocat books ‘Frontiers of Space’ and ‘Atomic Adventure’ discovering that it is full of hands on activities to keep them amused on any rainy days that might occur on holiday. We loved The Space Gloves test which challenges our budding astronauts to recreate the reality of carrying out routine activities in space, checking if your fingers are strong and nimble enough to do the job. This provided much hilarity as we tried typing our name on a computer keyboard wearing rubber gloves, gardening gloves and thick woollen gloves all at once! Ben Newman’s bold, striking illustrations capture the energy and excitement of space exploration. Educational and fun this will satisfy the most knowledgeable of space fans enabling them to be fully prepared to take flight into the universe beyond our skies. 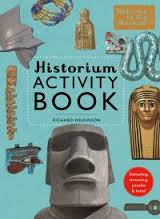 Get hands on in the museum, and discover ancient worlds in the ‘Historium Activity Book’ curated by Richard Wilkinson and Jo Nelson. If you’re planning a trip to a museum over the holidays or your child is curious about civilisations from the past, this sophisticated activity book will provide hours of entertainment for older children. Packed with puzzles to solve, pictures to colour, doodling, drawing your child will learn some amazing facts on the way as they journey into the ancient world. Find your way through an Aztec maze, decorate an Egyptian mummy or create your own Greek vase, this myriad of activities help children discover something new and encourages them to use their imagination to the full. ‘Historium’ invites children to take a virtual exploration of a museum, they can wander from room to room filled with artefacts from different eras. Insightful and fascinating it stands out with its sublimely, detailed illustrations from Richard Wilkinson offering a world of information which entices you to keep delving back into to find out more. I feel it is ideally suited to artistic children who like to devote their time to create intricate drawings because some of the activities are incredibly detailed. 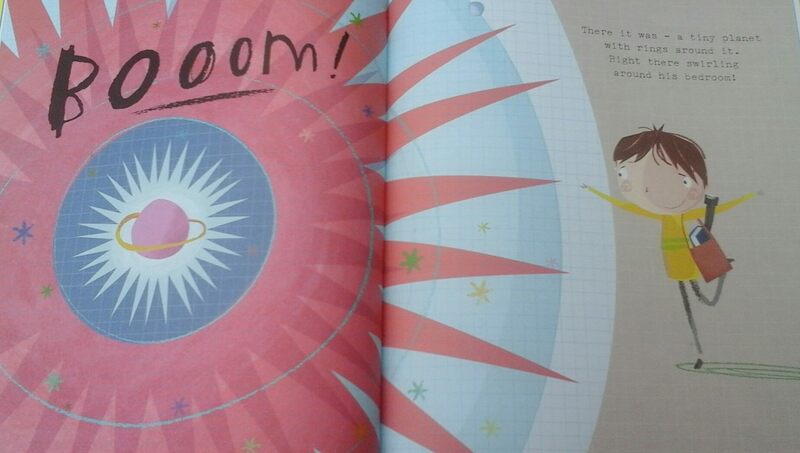 An inspiring activity book designed to appeal to the most inquisitive and curious of minds. Thank you to Cicada Books, Flying Eye Press and Big Picture Press for sending me copies of these books you might have just saved my sanity during the summer holidays. This entry was posted in Uncategorized on July 30, 2016 by bookloverjo. ‘Through the Mirror Door’ is an intriguing, beautiful debut from Sarah Baker. Angela has been living in foster care since a tragic accident and has failed miserably to settle in. Running out of chances her future seems bleak until her Aunt Cece turns up out of the blue and invites her to go on a family holiday. Despite the coldness of her Aunt and the meanness of her cousins Angela reluctantly agrees, feeling that this may be her only opportunity to be part of a real family again. But when they arrive at a crumbling French holiday home with forbidden rooms, Angela begins to suspect that everything is not quite at it seems. Haunted by night-time footsteps, and unknown shadows in windows she is drawn to a room and discovers Julien a boy who desperately needs her help. To save him she must overcome her own demons and finally face up to the truth of what happened on the tragic night that robbed her of her family. This story is marvellously spooky and will keep you guessing to the very end as you try to unravel the secrets hidden within this mysterious house. It is full of the unexpected and managed to totally surprise me with the way the story unravelled. It does feel quite dark and tragic and I felt desperately sorry for Angela as she struggled to exist in a world where seemingly nobody wants her. But there is light and hope within the darkness, the friendship between Angela and Julien is genuinely extraordinary and endearing. They have the type of bond that can last through time united by incredibly sad and difficult circumstances. A compelling read which will keep you entranced as you delve into this world of shadows and secrets. Sarah Baker has worked extensively in film as a story editor, with roles at Aardman Features, the Bermuda Film Festival and as Story Editor at Celador Films, and also a writer and blogger for vintage fashion magazines. Sarah currently lives in London with her family and two very fluffy cats. 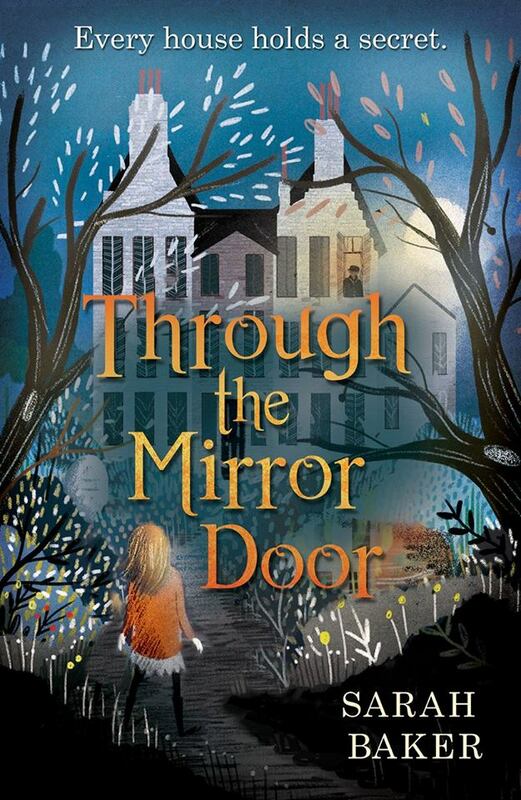 ‘Through the Mirror Door’ is her first novel. Thank you to Laura Smythe and Catnip for my copy of this fantastic book. This entry was posted in Uncategorized on July 19, 2016 by bookloverjo. 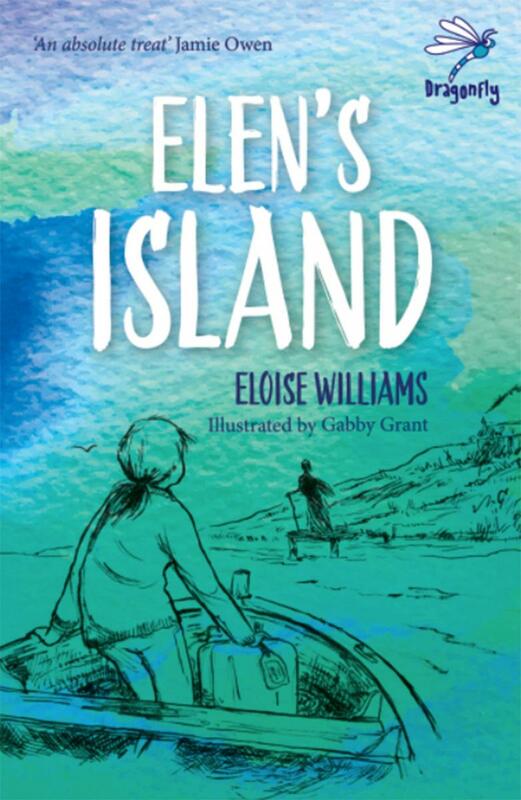 ‘Elen’s Island’ is a delightful, magical tale from Eloise Williams which takes you on a journey of discovery through the eyes of a young girl Elen. Sent to stay for the summer with her grandmother who she doesn’t know whilst her parents go on holiday, she is furious and doesn’t receive the warmest of welcome. Her grandmother barely tolerates her presence and leaves her to own devices with a hand drawn map and instructions to go and explore the island. But Elen soon discovers that the island is full of mysteries, secrets and possibly hidden treasure when a chance encounter with a photograph reveals a lost message. Can she uncover its true meaning and will the treasure she seeks be what she expects? 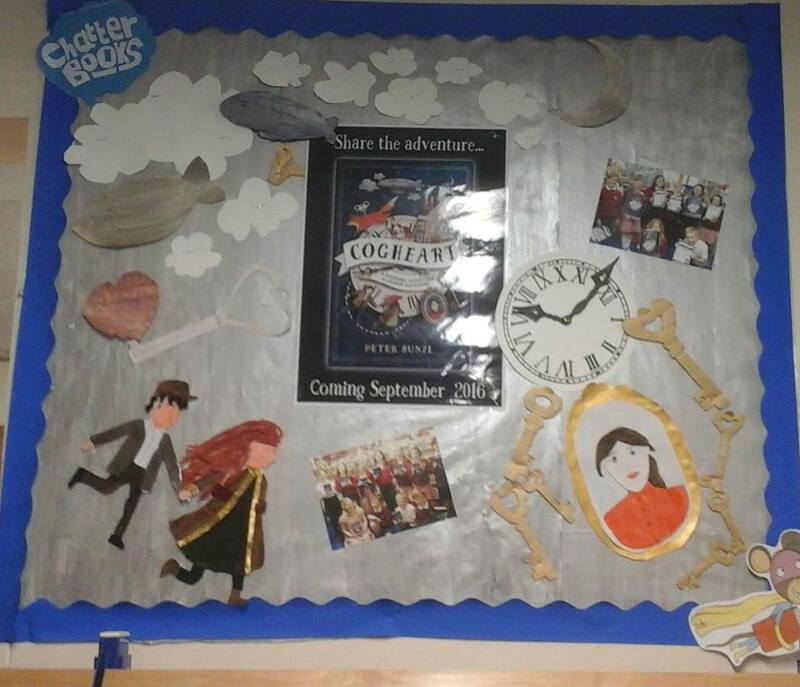 Eloise has crafted a beautiful story full of wonder, adventure and excitement which will perfectly suit those newly confident first readers. Elen is a fascinating character full of determination, spirit and bravery showing great resilience as she embarks on this lonely exploration despite feeling furious and sad that her parents have left her behind. The island itself is an intrinsic part of the story so much so that you can’t help but fall in love with it, just like Elen. Eloise’s wonderfully lyrical descriptions of the island and the surrounding sea, shimmering with a multitude of colours makes you want to dip your toes in and feel the sharp coldness of the water and wander through the creamy sand. It feels like a truly magical place that any child would love to find themselves in a middle of an adventure amongst the dunes and caves. With whispers of mermaids, potions and buried treasure it is an irresistible combination. 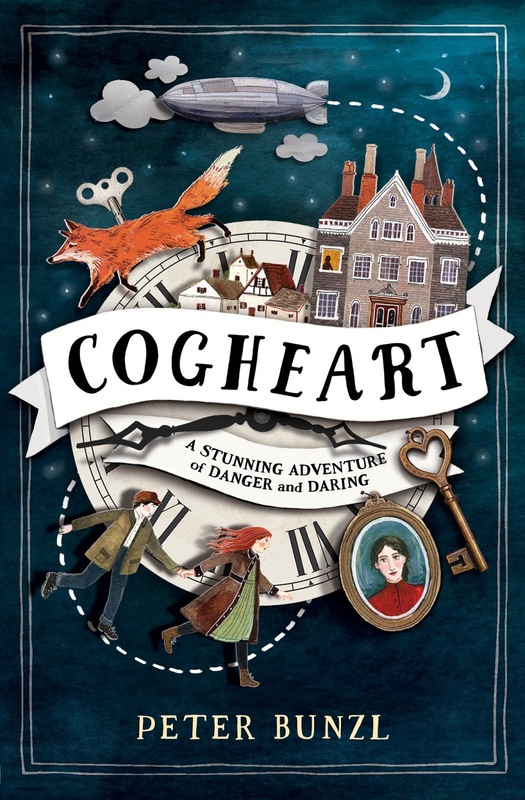 Filled with just the right amount of mystery, intrigue and the unknown it would make the perfect summer read for children aged 6 and over. ‘Elen’s Island’ has a real timeless appeal which is enchanting and truly charming. The wonderful illustrations by Gabby Grant perfectly capture Elen’s emotions and the stunning beauty of the island. If you’re intrigued by this review you can read a extract on the Firefly Press website. To find out more about Eloise you can visit her website or follow her on Twitter. Thank you to Eloise William’s for sending me a copy of this lovely book to reivew. To celebrate the reprint of this fantastic book with its new stunning cover you can win one of two copies of this book head over to my Twitter page to enter. Ends Friday 22nd July UK only. 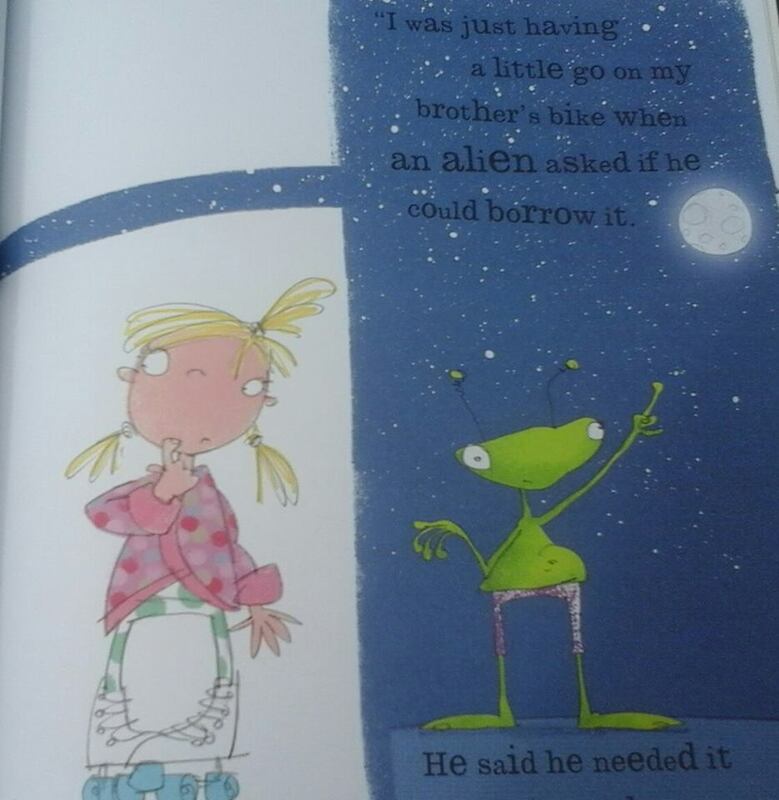 ‘Elen’s Island’ is part of Firefly Press’s Dragonfly range for 7 – 10 year olds set in contemporary Wales. To find out more you can visit their website. This entry was posted in Uncategorized on July 18, 2016 by bookloverjo. I was delighted to share with you today these four gorgeous picture books from Bloomsbury, all recently released they are sure to capture children’s imaginations this summer. 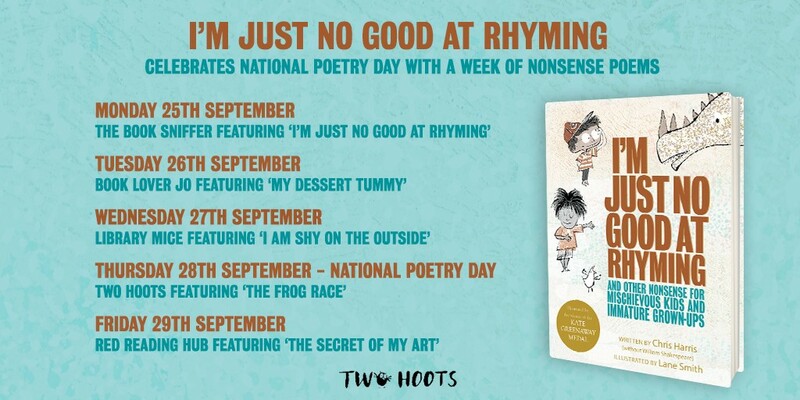 From baking dragons, mahoosive mammoths, to boys filled with creativity – in very different ways – this is a stellar line up of new releases. Meet Arthur and his friend Truth, unfortunately they are not really the best of friends at the moment. The problem is that Arthur – despite being told not to – has taken his big brother’s bike and accidentally bashed his Mum’s car. 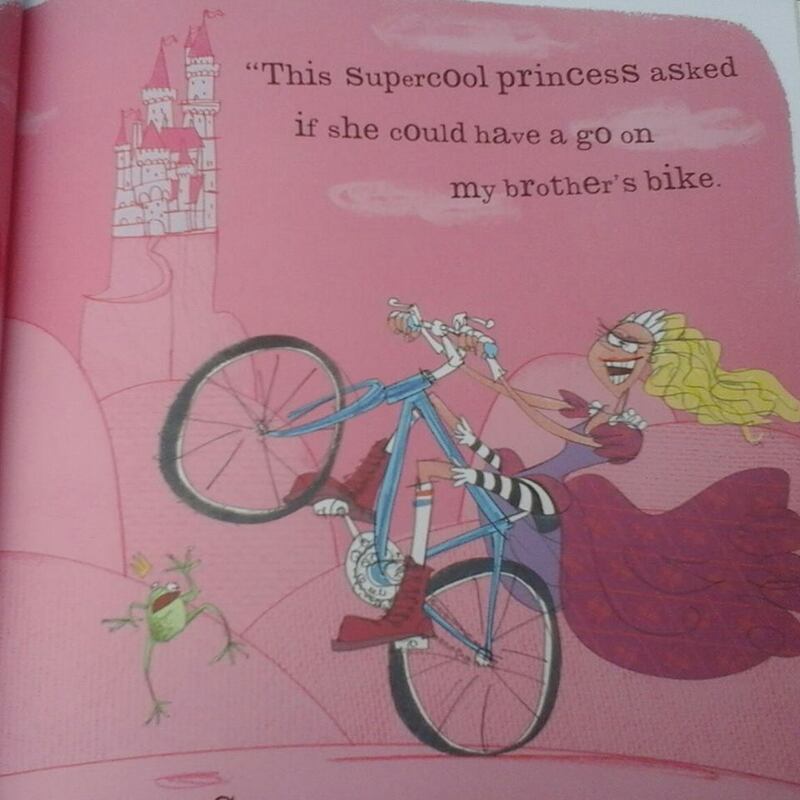 Knowing he is going to get into trouble Arthur tries bend, stretch, cover up, disguise and hide the truth in a desperate attempt to avoid being told off, with a supercool princess, an alien and a transforming car and bicycle taking the blame. 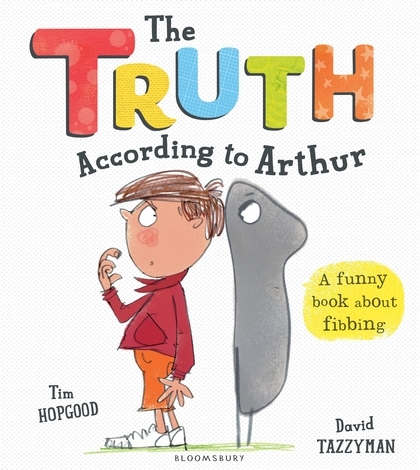 Tim has created a story that will appeal to both children and adults alike, this hilarious insight into the mind of a child is thoroughly entertaining. We can all identify with his predicament about whether or not he should tell the truth as we’ve all been known to bend the truth every now and then. David Tazzyman’s brilliantly clever and witty illustrations capture the full extent of Arthur’s wild and vivid imagination. Bold and bright they are wonderfully energetic and they manage to convey the depths of emotions Arthur is going through as he wrestles with the decision to tell the truth or to tell a little fib. A must have picture books for all families and it would be ideal for schools to use with KS1 children. 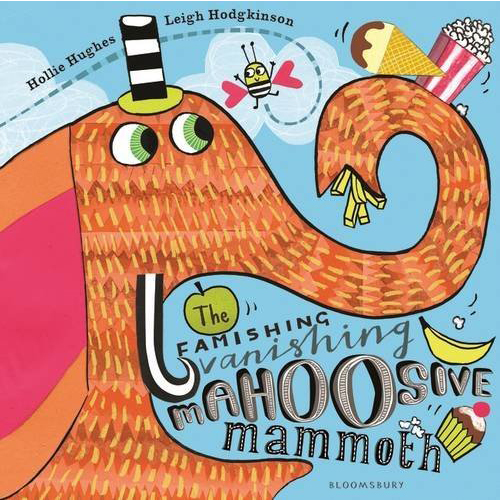 This marvellous picture book debut from Hollie Hughes is a read aloud delight, filled with glorious tongue twisters that will have children laughing out loud as you tell the tale of this big hairy beastie with an insatiable appetite. Having road tested it at Storytime in the library it had such a fantastic reaction that the children were left hungry for more and I had to read it again!Poor mahoosive mammoth all he can think about is his funny tummy which is constantly grumbling. It seems that nothing can fill him up not doughnuts, ice cream, popcorn, chips or even trees and ginormous ships. His friend little bug thinks he must stop or else he really will go pop! So he comes up with a plan to keep hunger at bay by keeping mahoosive mammoth busy all day. Leigh Hodgkinson’s vibrant, exquisite illustrations are a feast for your eyes. Each page is bursting with a a spectrum of magnificent colours that prove impossible to resist. It is a simply gorgeous, heart warming tale of the joys of friendship, filled with masses of fun and laughter. 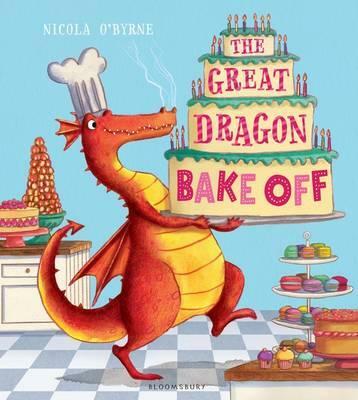 ‘The Great Dragon Bake Off’ is an unusual dragon tale from Nicola O’Byrne that is baked to perfection, filled with irresistible puns that is guaranteed to appeal to the most demanding palates. 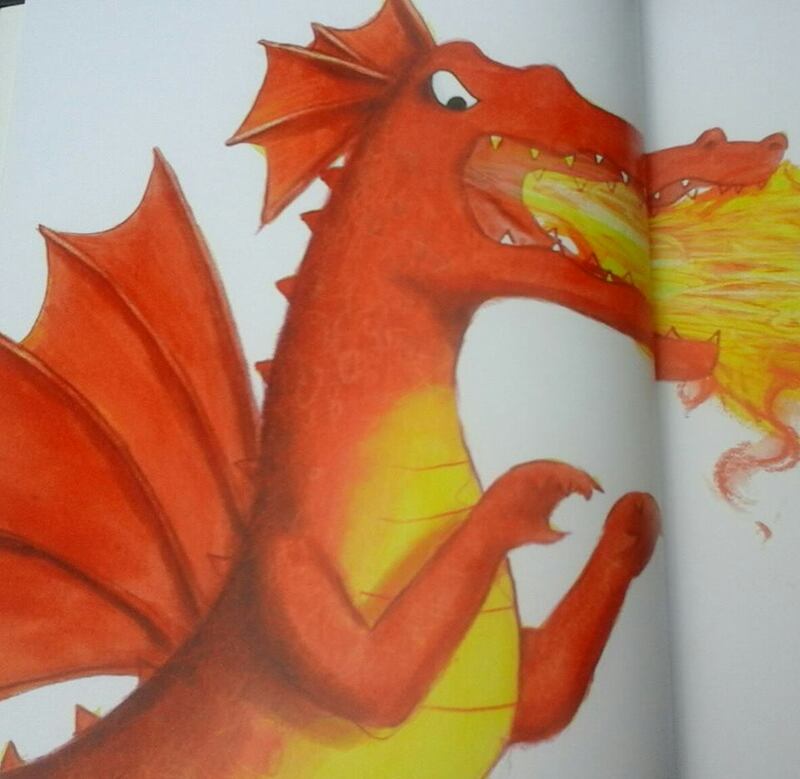 Meet Flamie Oliver a dragon so terrifying that he would even give Paul Hollywood a run for his money. Sent away to the Ferocious Dragon Academy a place for the very, very bad dragons Flamie is hiding a terrible secret. Underneath that ferocious exterior beats the heart of a dragon with a passion for pastry, cakes and patisserie. But his love for baking means he’s in danger of failing dragon school, he will need to conjure up a real showstopper of a finale if he ever hopes to graduate. Accompanying this sublime tale we are served with the most mouth watering illustrations crammed with cakes and pastries of every shape and size, from croquembouche, macaroons to battenburgs the attention to detail is magnificent. Fabulously funny and endearing, readers will be unable to resist the adorable Flamie whose obsession with baking puts him in danger of elimination. If you look very closely you might just find some passing resemblance to some famous celebrity chefs and programmes! Who could resist reading about dragons named Paul Firewood, Heston Blowitall or Scaly Berry? 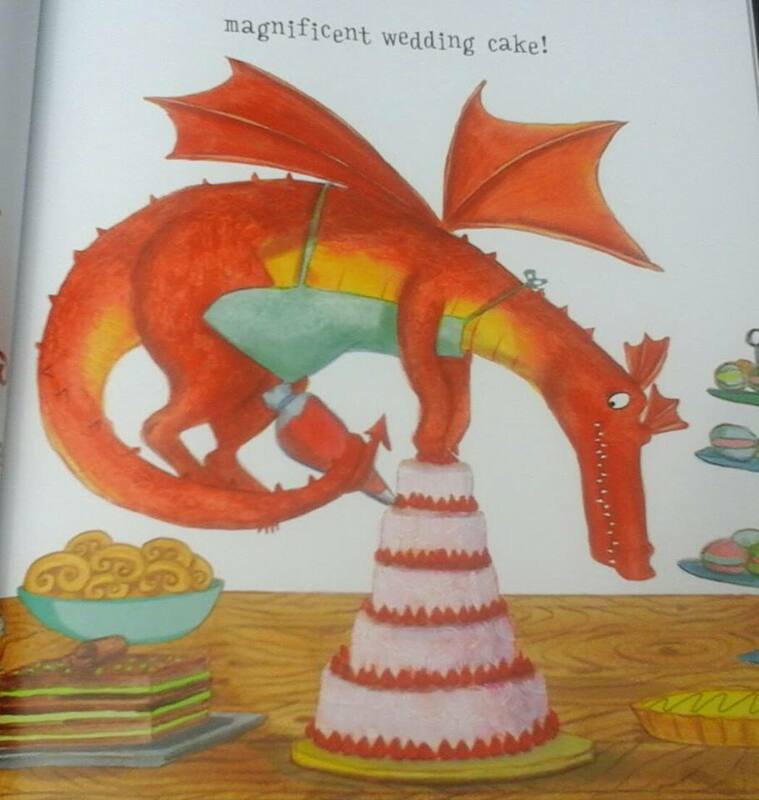 A true winner in every sense the The Great Dragon Bake Off is a glorious story of the joy of following your dream. 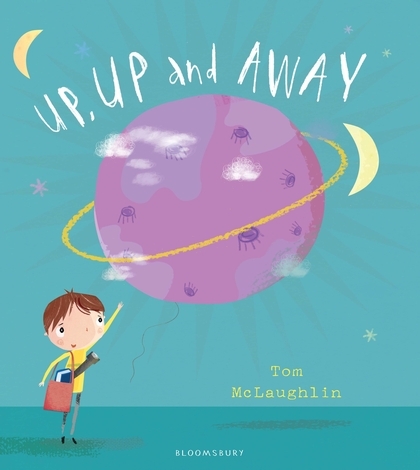 ‘Up, Up and Away’ is another stunning celebration of the power of imagination from the fantastic Tom McLaughlin. 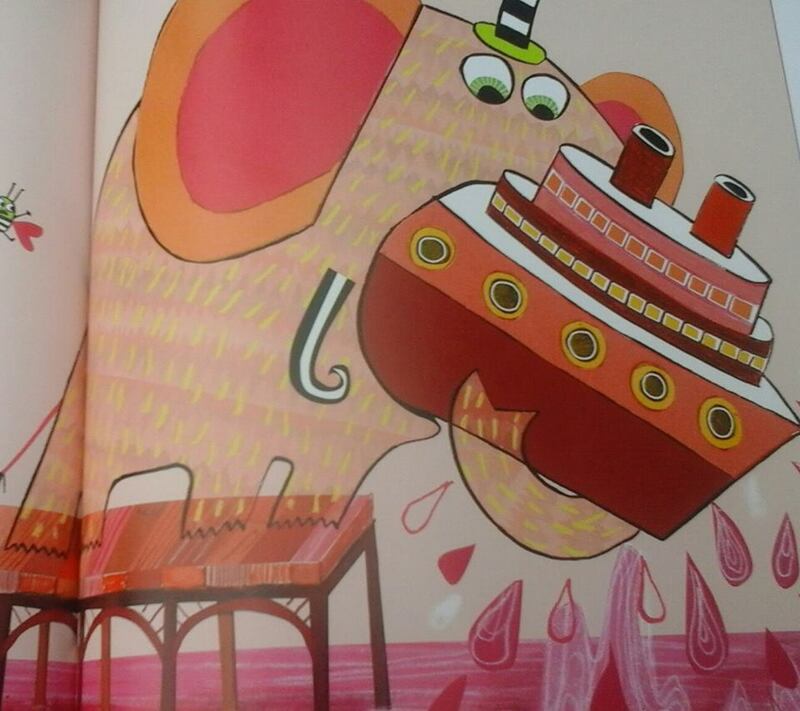 I simply adored ‘The Story Machine’ and ‘The Cloudspotter’ and this latest picture book is equally magnificent. This marvellous book tells the story of an extraordinary boy Orson who loves to build things and one day decides to build his own planet. With a cup full of rocks, a dash of water, a sprinkling of metal, a lot of nothingness and finally a big bang, BOOM! a planet is created. Little does Orson know that creating the planet was the easiest part, the tricky challenge is looking after it, which presents a whole host of problems and soon his joy turns to sadness. Tom has crafted a beautiful, poignant story about the search for happiness and the power of imagination and creativity. It is written with such sensitivity and finesse that it weaves a spell around your heart and fills you with wonder, helping you understand that sometimes you have to let go of the things you love the most in order to make them happy. The illustrations are simply divine, a muted palette is used throughout which adds to the gentle lulling feel of this story as you become lost within these pages. 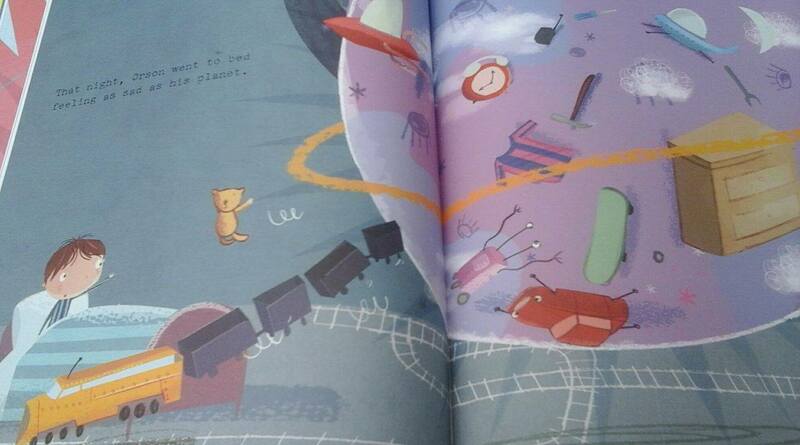 ‘Up, Up and Away’ is a stunning picture book which demands to be read and shared over and over again. A huge thank you to Bloomsbury for sending my copies of these books. 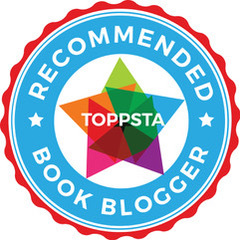 This entry was posted in Uncategorized on July 17, 2016 by bookloverjo. 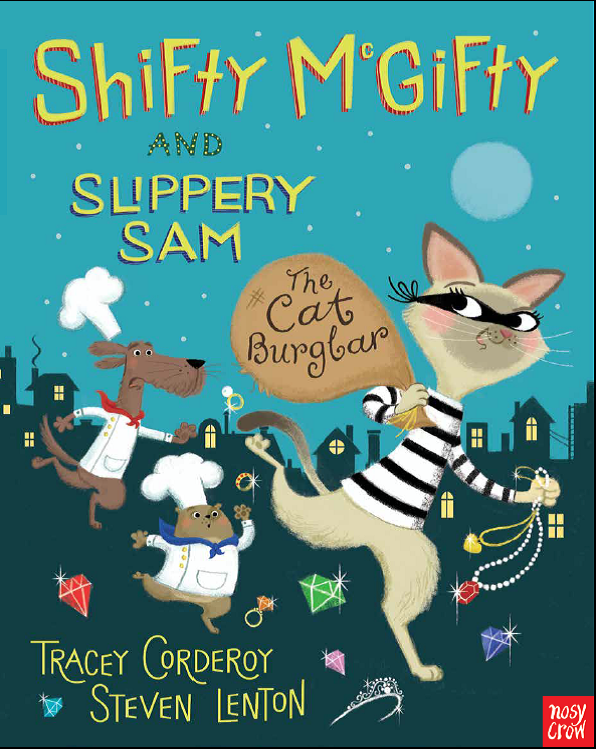 I am delighted to welcome Tracey Corderoy to the blog today for a special guest post to celebrate the release of the latest Shifty McGifty instalment ‘The Diamond Chase’ wonderfully written by Tracey Corderoy with divine illustrations from Steven Lenton. 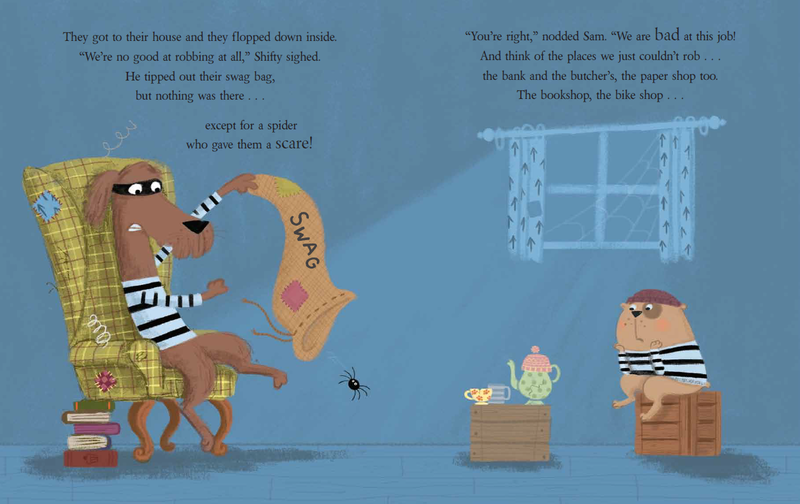 Throughout the three Shifty and Sam picture books, the boys go on a journey. 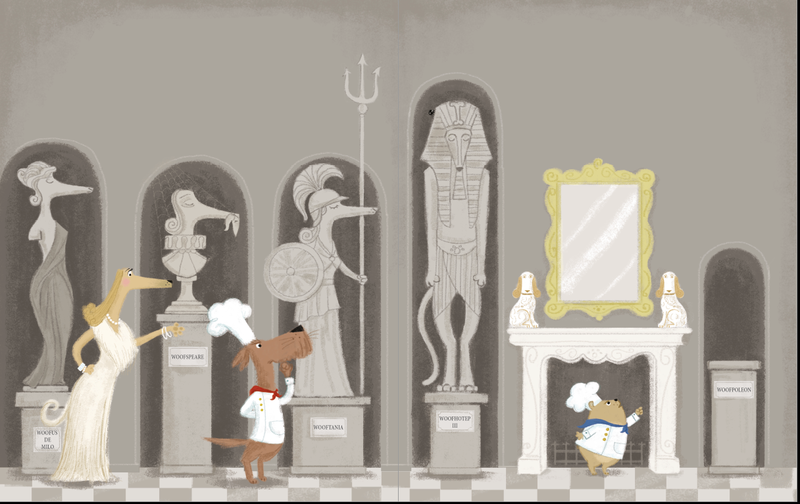 They begin as robbers, then become bakers, and finally they turn their (chef-y) paddy-paws to solving crime. But right from the start I needed my audience to really feel connected to the dogs. In short, I needed the boys to be instantly lovable. How as a writer, though, do you pave the way for this instant affection, even love? Especially when your main characters are – well – BAD! Writing about baddies certainly has its challenges. On the one hand showing your characters’ flaws to the world, whilst trying to make them likeable is risky. But likable they have to be for children to root for them, and love them. The key to this fine juggling act, I feel, is helping readers see character traits in the dogs that they also recognise in themselves. They need to identify with them in some way. 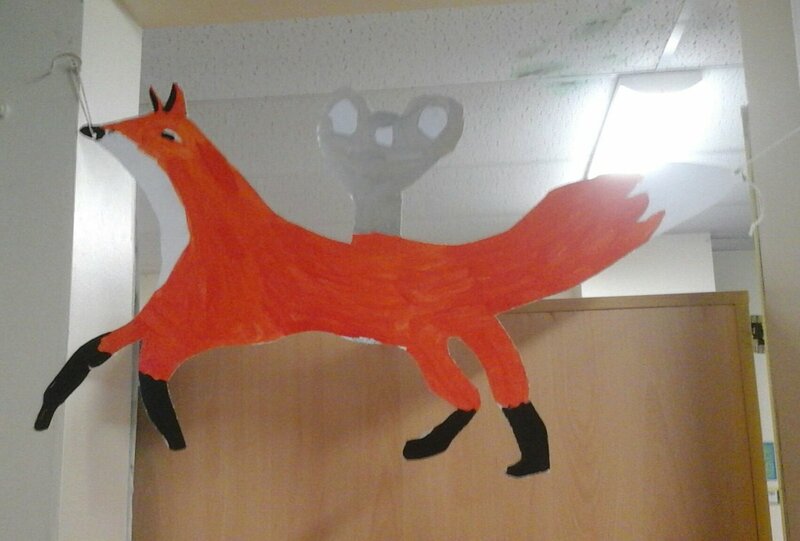 So how can children identify with my robbers when they, themselves, are (thankfully!) not crooks?! Well, it’s the personalities behind the crime that we can, perhaps, see some part of ourselves in. We can identify with some of Shifty and Sam’s flaws, for we too may well share certain character traits the dogs have. What are these character traits then? 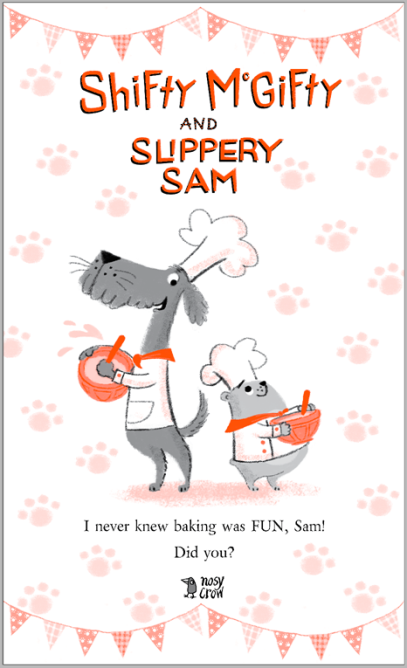 In the first book, ‘Shifty McGifty and Slippery Sam’ the dogs feel a range of sad/conflicting emotions and they feel them very deeply. We can identify with some of their issues and concerns. Firstly, they are bad at something. Ok, so the thing they are bad at is robbing. And if you are going to be bad at something, being bad at robbing, I guess, is probably good. But not for Shifty and Sam it isn’t. And we all know how we feel when, try as we might, a distinct lack of skill leaves us feeling gloomy and despondent. Shifty and Sam are never short of ideas to put things right, though. They might sometimes be misled, but they never give up. When thwarted, they formulate new plans. And even when their life of crime is behind them, they are never short of ideas to help solve crimes now. and fluffed up his hat. “No more robbing!” he nodded. Also, Shifty and Sam are far from boring or passive. On the contrary, they are full of a sense of adventure. And children, I think, will identify with their spirit. I think that children love it when there’s a problem to be solved, and they very much admire those who get on and solve it! 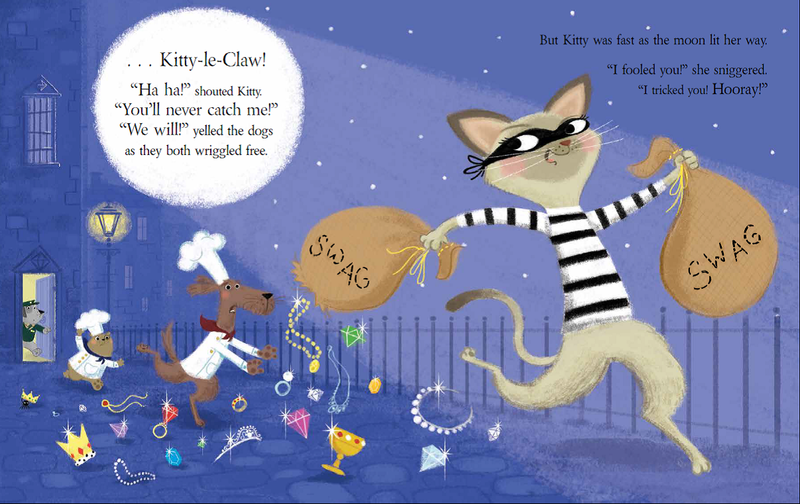 It was brilliant to test their resolve in book two, (‘The Cat Burglar’) when scheming Kitty-Le-Claw comes to town. 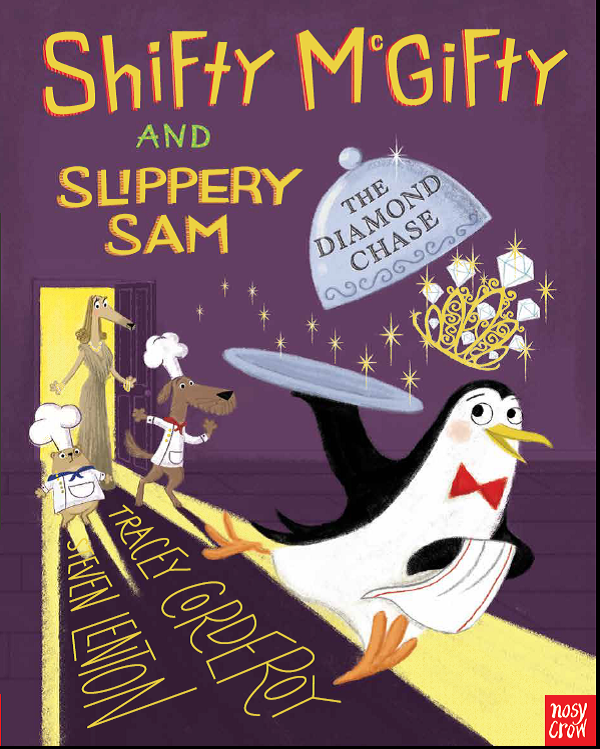 And wonderful to give them, in book three, (‘The Diamond Chase!’) a case to solve which is not black and white. 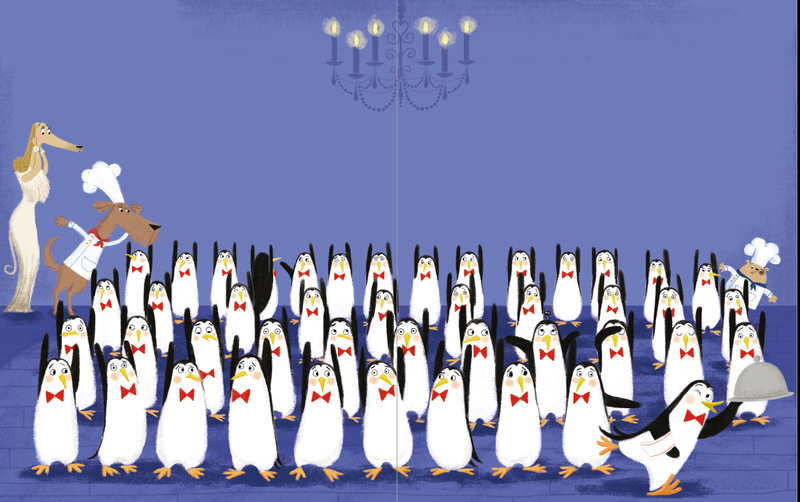 (Although of course it is as the robber, Sidney Scarper, is a penguin!). …but our dynamic duo certainly don’t disappoint! Finally, through thick and thin, Shifty and Sam are a TEAM. They share their worries, their successes, and their failures. In short, they have the kind of friendship that hopefully children (and adults alike) are drawn to and want to be a part of. As well as colleagues, they are best friends too. 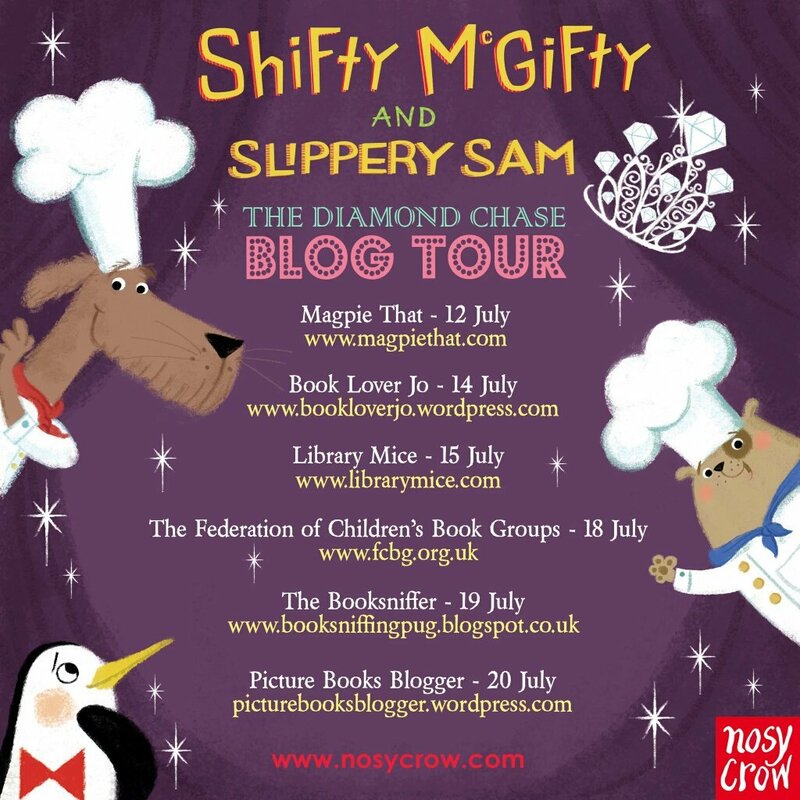 A huge thank you to Tracey for her fantastic guest post today I’m really looking forward to finding out more about Shifty McGifty later on in the tour. 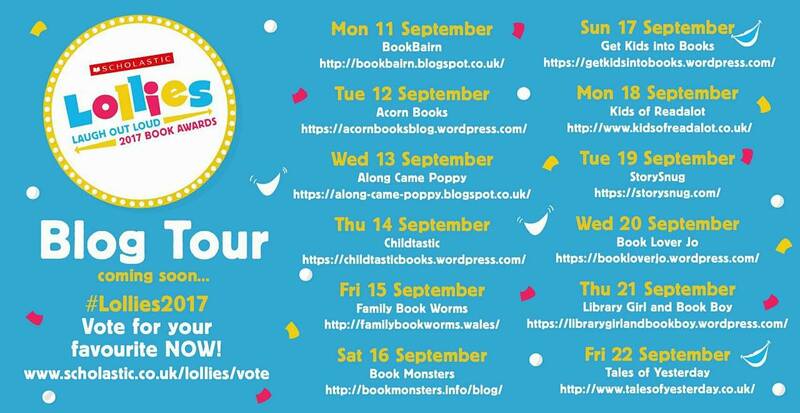 If you have missed any of the blog tour you can still join in and read more fantastic guest posts from Tracey Corderoy and Steven Lenton. Thank you to Dom Kingston and Nosy Crow for sending me a copy of this gorgeous book and inviting me to take part in the blog tour. This entry was posted in Uncategorized on July 14, 2016 by bookloverjo. 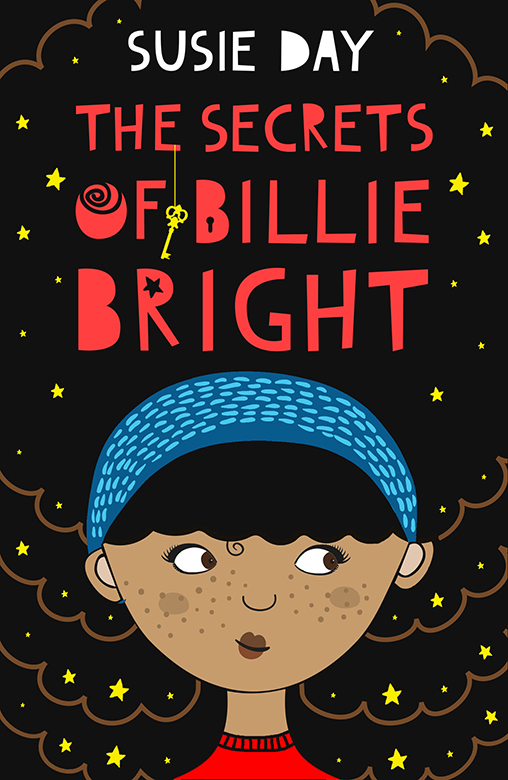 ‘The Secrets of Billie Bright’ is the warm and funny new story in the ‘Secret Series’ from the brilliant Susie Day. 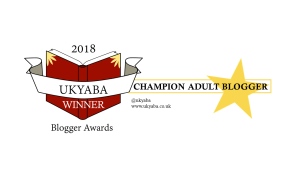 Susie writes books that I would have loved to have read as a child, she just has this insight that I find refreshing and they are pitched at such a perfect level, they are truly fantastic. 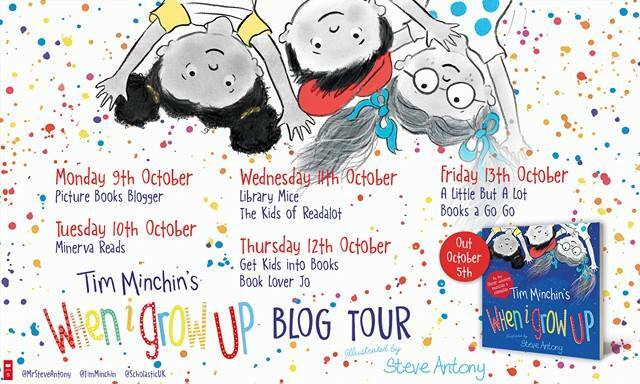 Featuring families, friendships and real life issues, Susie explores what it’s like to be a child in a world where things don’t always go to plan. Wonderfully diverse and effortlessly entertaining Susie’s books are a must for all school libraries, offering an ideal transition for children getting ready to move on to secondary school. Meet 11 year old Billie, the youngest of four getting ready to make the leap into the unknown of secondary school. Surrounded by three big brothers and living in a noisy chaotic family she feels ready for big school, determined to prove she is no longer a baby and is actually very grown up. Excited about the new challenges that lie ahead – despite her best friends moving away – she embraces school life. But when her new teacher Miss Eagle asks them to write a Hero Project about someone who inspires them and Billie chooses her Mum who died when she was five, it causes upset and confusion in her family. Little does she know that she is about to unravel a secret which will change her whole perspective and nothing will ever be quite the same again. You can’t help but find Billie incredibly endearing, her confidence and enthusiasm is delightful but she shows you her vulnerable side when she realises that moving on isn’t as easy as she first thought. It deals with so many of the issues and feelings that children experience but they are just layers of the story they don’t detract from the narrative, instead they make it feel more genuine and realistic. It actually mentions periods as well but not in a ‘oh my this is a dreadful time’ type way, instead it just happens at a sleepover and it isn’t a huge issue. Girls need to read books which address the realities of growing up and that actually they are just an ordinary part of life, they shouldn’t be hidden away. 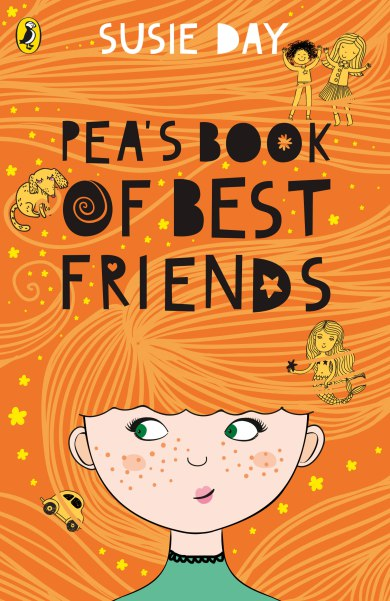 I also love how Susie features a cast of characters from her previous books as Billie befriends Sam (from The Secrets of Sam and Sam) and there are mentions for Pea too. For me this feels like Billie is part of a community that I know, one which I enjoy getting wrapped up in and finding out more. 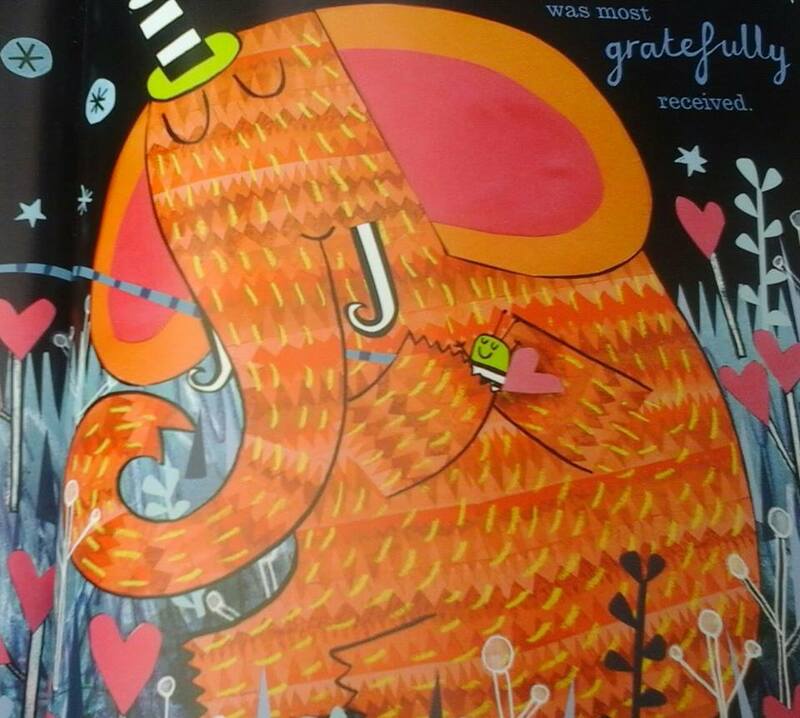 This is a book that I will be urging my 10 year old daughter and all her friends to read, it is just delightful. Also available in the Secret Series is ‘The Secrets of Sam and Sam’ which features twins Sam and Sammie who are getting ready to go on their Year 6 residential trip and face the ‘Death Slide of Doom’. You can find out more on Susie’s website. For younger readers I can’t recommend enough the fantastic Pea’s book series which has just been reissued with these gorgeous new covers designed by Lisa Horton. Featuring sisters Clover, Pea, and Tinkerbell whose lives are turned upside down when they leave their tiny flat in Tenby for a whole new life in London when their Mum becomes Marina Cove, author of the bestselling Mermaid Girls books. 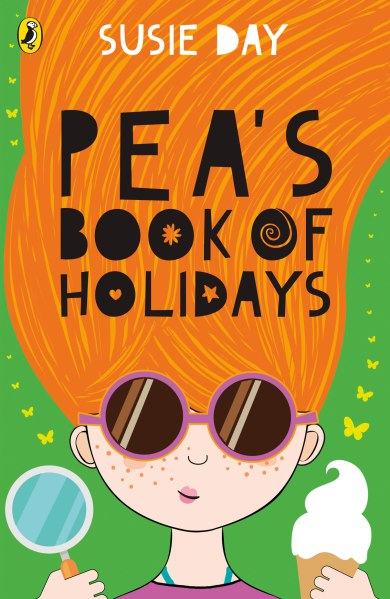 Enjoy a sneak peek of ‘Pea’s Book of Dreams’ here to find out more! This entry was posted in Uncategorized on July 12, 2016 by bookloverjo.